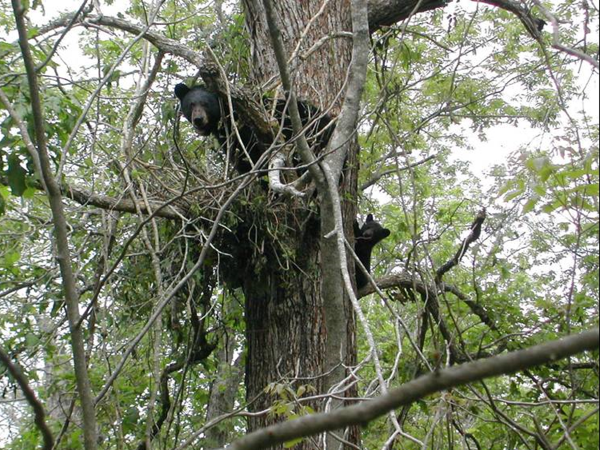 Did you know the Louisiana black bear's habitat is no longer protected under federal law? ABK and partners are challenging the 2016 delisting of the Louisiana black bear and removal of its critical habitat designation from protection under the Endangered Species Act. In June 2018, ABK, Louisiana Crawfish Producers Association, Sierra Club and its Delta Chapter, with three individual plaintiffs, filed suit in district court in Washington D.C., challenging the Department of the Interior, U.S. Fish and Wildlife Service’s 2016 decision to delist the Louisiana black bear from the U.S. List of Endangered and Threatened Wildlife under the Endangered Species Act. ABK et al. challenges the Service’s conclusion that the species is “recovered” on the basis of sound science, but rather contends that threats remain and the Service’s decision was premature and in violation of federal law. (To read the Plaintiffs’ Complaint, click here). While the parties are working to ensure that the administrative record is complete and adequately presented to the court, Safari Club International – an international organization protecting the right to hunt – is seeking to intervene in the case in support of the government and its decision to delist the black bear. On January 18, 2019, Plaintiffs filed an opposition to Safari Club’s intervention, arguing that this is not a case about hunting, but rather if the U.S. Fish and Wildlife Service complied with federal law, used the best available science to make a delisting determination, and whether the “recovery” plan relied on by the Service actually puts the bear in greater jeopardy. The right to hunt is not at issue in this case, in fact, most of our Plaintiffs are avid outdoors enthusiasts and hunters. However, there is currently no legal season for hunting black bears, and there has not been for many decades. Plaintiffs express concern over the probability that allowing Safari Club to join the case will bring in issues that are not germane to the case, adding unnecessary confusion to an already complex case. Plaintiffs argue that the intervention misses the mark – which this case is not a question of whether the bear should or should not be hunted, but whether the federal government followed the law in determining that the Louisiana black bear no longer requires federal protections under the Endangered Species Act. The decision of whether, when, or how to initiate a hunting season for black bears in Louisiana is entirely up to the state wildlife agency, who is not even a party to the case. This issue is not part of Plaintiffs’ claims and as such, should not be the basis for which Safari Club is granted intervention. To learn more, check out Plaintiffs’ opposition memorandum (here), and Safari Club’s Motion to Intervene (here).